Caramel starts out with three ingredients in a large copper kettle and is boiled down and poured onto a marble slab to cool to chewy perfection. 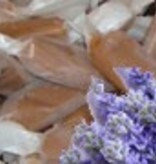 It's simple, yet luxurious and one of the most enjoyed confections in the world. 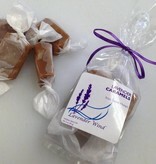 This caramel met and fell in love with our lavender to product these tasty treats. 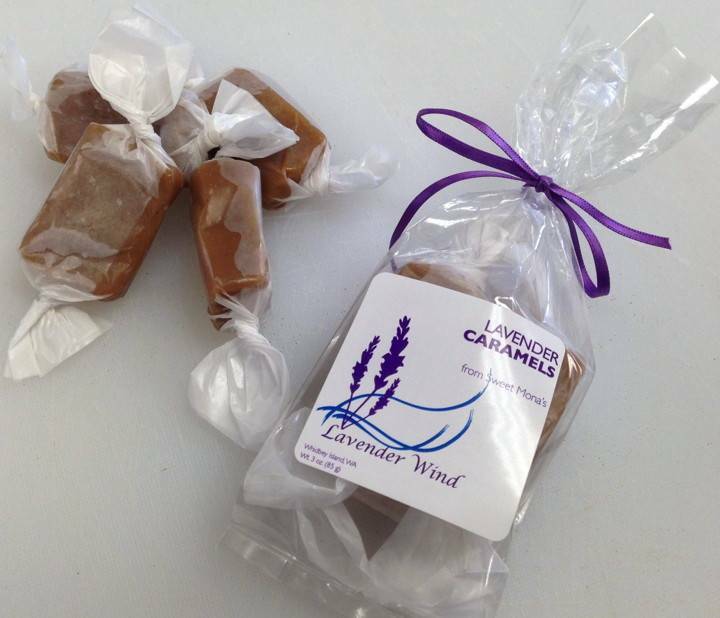 Handmade by Sweet Mona's on Whidbey Island with our lavender. These are made in a facility that processes milk, tree nuts, peanuts, wheat, and soy. Melt in your mouth shortbread! Lavender Chocolate Chip Cookies, out of this world!